The car – my poor car. I wrote about Muffy taking a dive. That was brutal. $460 and she is good a new…for now. These extra expenses dropped my monthly savings rate to 65.7% (or 72.06% including 401K). Ok – I realize that’s not bad at all…but it is a drop nonetheless. I was expecting BIG things out of Augusts paycheck with my July hours being the highest of the year thus far…but, unfortunately, things don’t always work out that way. Out of the 8 months of 2016, August was ranked 3rd highest in income. Yeah!! At the same time – it was ranked 6th lowest in savings percentage. Boo. Today I am celebrating a successful year thus far. I have maintained a 75% savings rate. I have worked 100+ hours each month. I have spent less (on average) than my allotted monthly expense budget of $1500 ($1489.47 to be exact). I’m on track to max out my 401K, Roth, and HSA. Things are looking good! It is times like this I have to remind myself to relax. Be kind to myself. Remember that time is so important to the financial independence equation. Without time my money can’t grow in the way that it should. You can’t press fast forward on compound interest. A nice increase from my last tally in June...I even broke the Quarter Millionaire mark when adding the value of my condo. Great job on the savings rate. But why so much in savings? Or is this getting a good rate? If it is not I would put it to work! I think I don’t carry enough sometimes for an emergency fund, but do keep a month ahead on my mortgage just in case. Awesome site and great writing! My credit union offers a 4% APY up to 25k and you can have two accounts. So basically 4% up to 50k. I figure I’ll stockpile slash there until they change the rate… It’s safe and accessible should I want to put a down payment on another income property. Which I do want to. Always! There should be a support group for people like me. 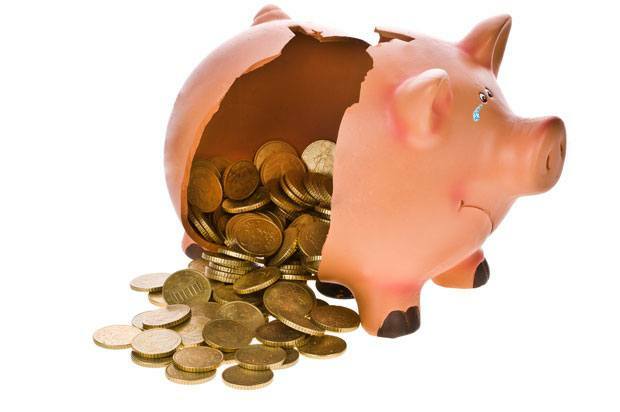 When my financial rock bottom a few years back I had a hard time rebuilding my savings. Not that I couldn’t save, but I couldn’t get past how much I had lost. What helped me was setting mini goals. Aim for 1k, then 5k, then 10k. If I was close to the number I would squeeze my budget just to hit that even number. It helped make the big goals more attainable. My goal now is to fully fund those two accounts as well as all of my retirement accounts. Time for me to get a side hustle!! You are saving a huge amount of your income, so you should be very proud of that. Good luck for next month! And you’re right, there’s only so much you can do to save, it’s earnings that count the most after that. Keep trying witg the side hustle, eventually you’ll find one that works for you. 75 percent is a great savings rate keep it up. Thanks! Up until this year I never calculated my rate before. It’s nice to see the numbers crunched and I am pleasantly surprised by the outcome. I haven’t gone so far as to tally my dividends yet. I see you are on that track and perhaps it is something I should be considering…I feel an addition to my spreadsheet coming on… 🙂 Thanks for reading! !